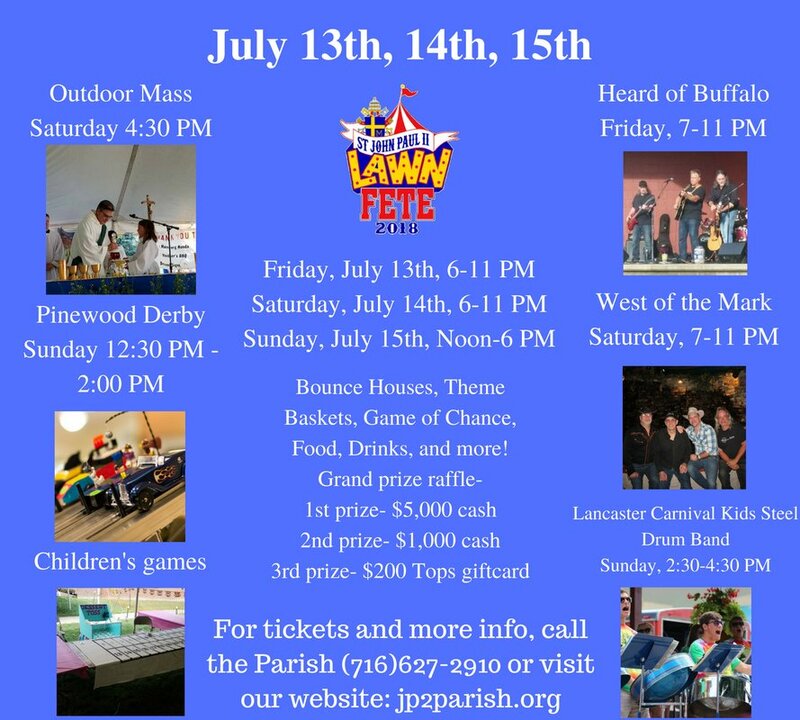 Saint John Paul II Parish in Lake View will be holding their annual Lawn Fete from Friday, July 13th through Sunday, July 15th. The weekend-long festival will have something for the entire family including live entertainment, games of chance, theme baskets, lots of delicious food, pinewood derby, bounce houses for the kids, and a grand prize raffle with a $5000 cash grand prize. 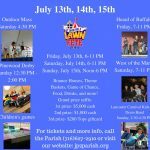 The festival features live entertainment each night with Heard of Buffalo on Friday night, West of the Mark on Saturday night, and Lancaster Carnival Kids Steel Drum Band on Sunday afternoon.